One of the advantages of living on an island is that we all funnel onto our sturdy ferry and cross the harbor together for a full twenty minutes (each way), a period of time sufficient to catch up on our neighbors’ lives. This counts as one of my favorite things about Peaks Island. 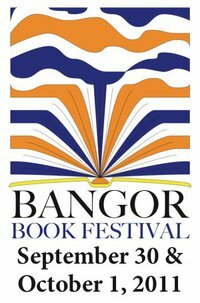 On one such crossing Friday, I learned that two of our island authors were embarking for Bangor to present at the Fifth Annual Bangor Book Festival. Anne Sibley O’Brien and Catherynne Valente joined 33 other authors in 25 events over two days. Annie presented “How Fascinating! : Multi-Culturalism in Children’s Literature” with Margy Burns Knight. Cat led a “Journey into Fantasy” workshop and joined Ellen Booraem and Jennifer Richard Jacobson on the “Creating Characters in Children’s Literature” panel. Congrats to Annie and Cat for representing our island literary community!